Wow..can't stop using this. So light weight and functional...has it in the kitchen for easy and fast clean ups. Highly recommended. 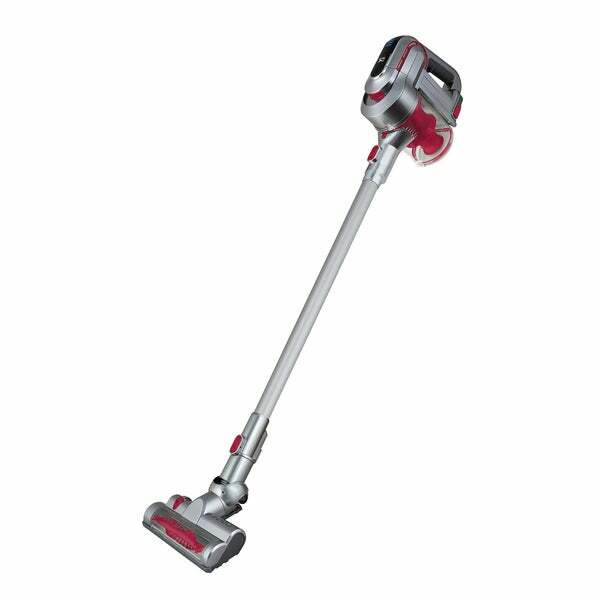 Accessories: Electric Floor brush + Metal tube + Small brush + Crevice nozzle + Furniture brush. Decorative charging base with built-in, hidden storage for attachments. Voltage: Accu with Adapter 120 V~. Bright, LED lights to indicate the unit is charging. Power: 140W. In a house with 2 cats and a dog this vacuum has allowed me to walk barefoot without feeling like I'm at the beach. Its gross how much pet hair it collects even vacuuming every day.